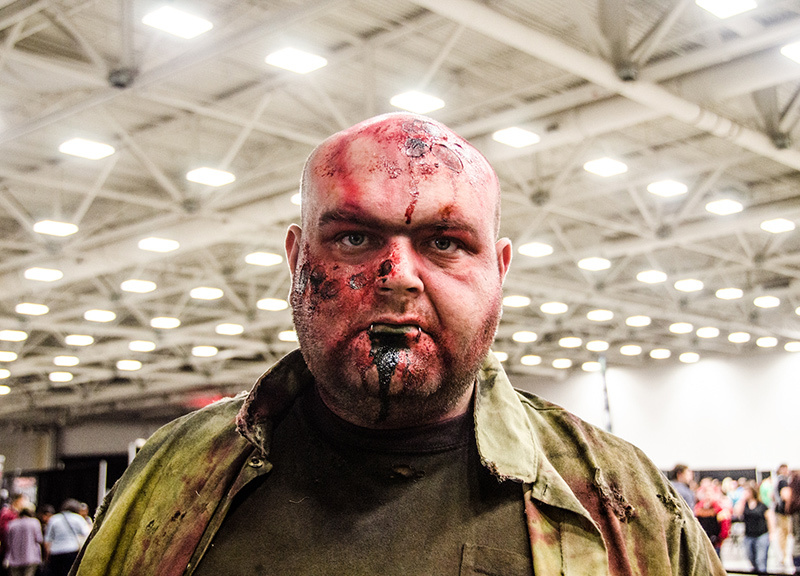 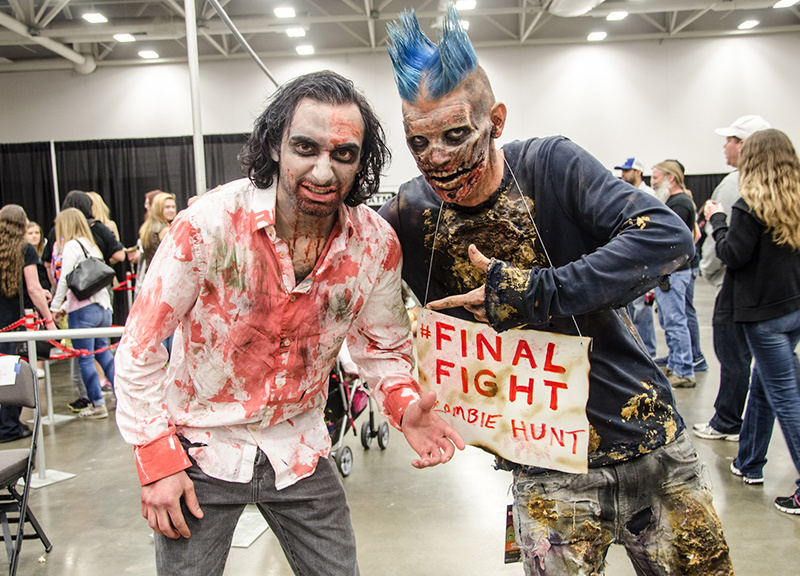 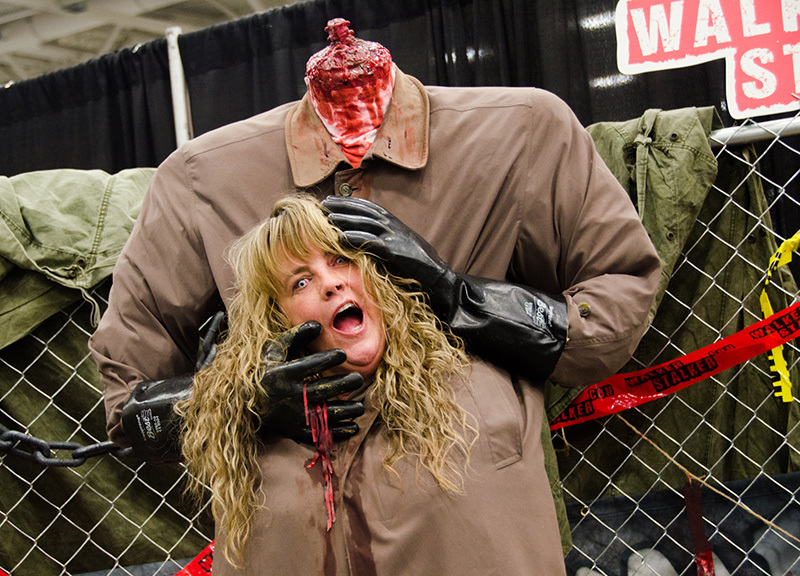 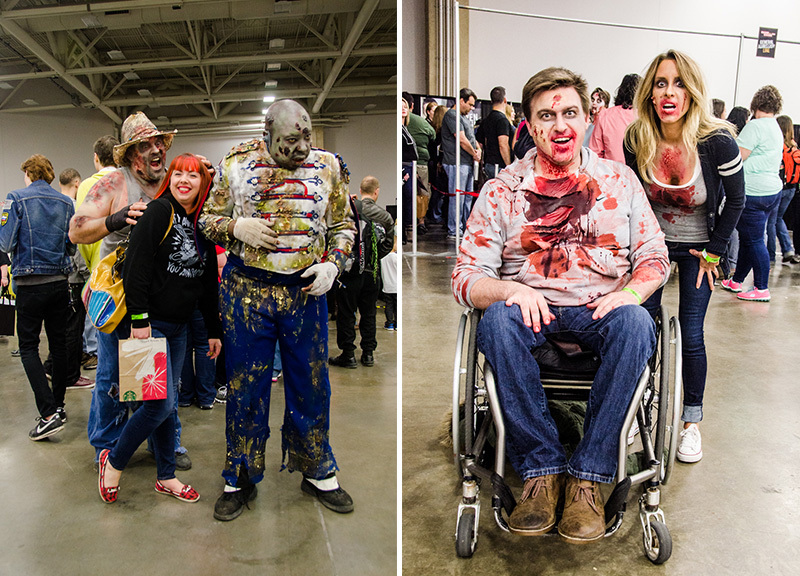 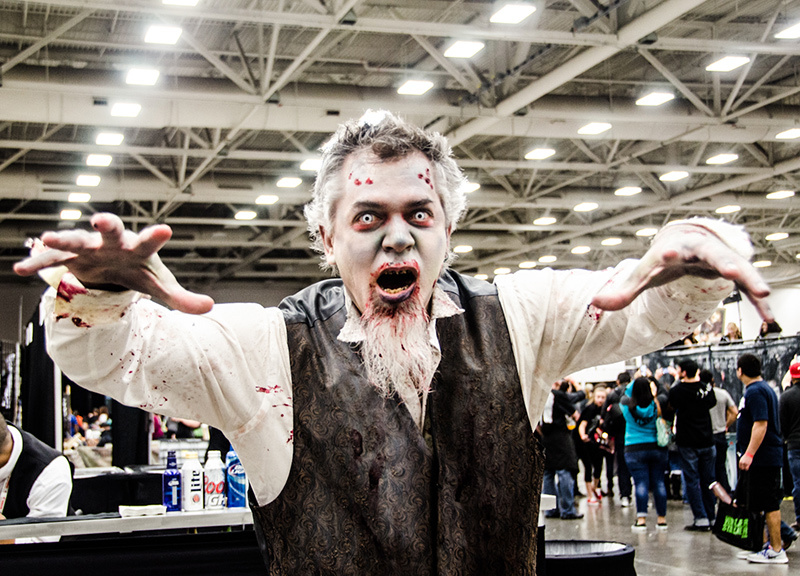 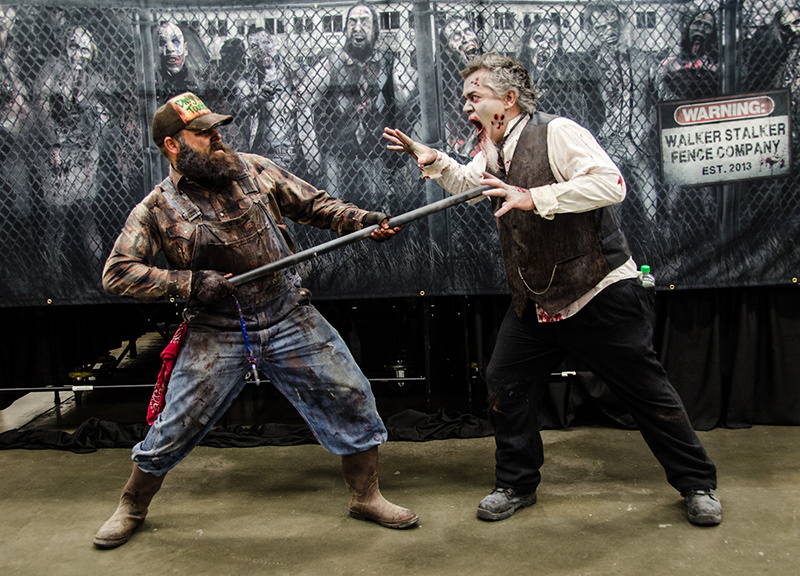 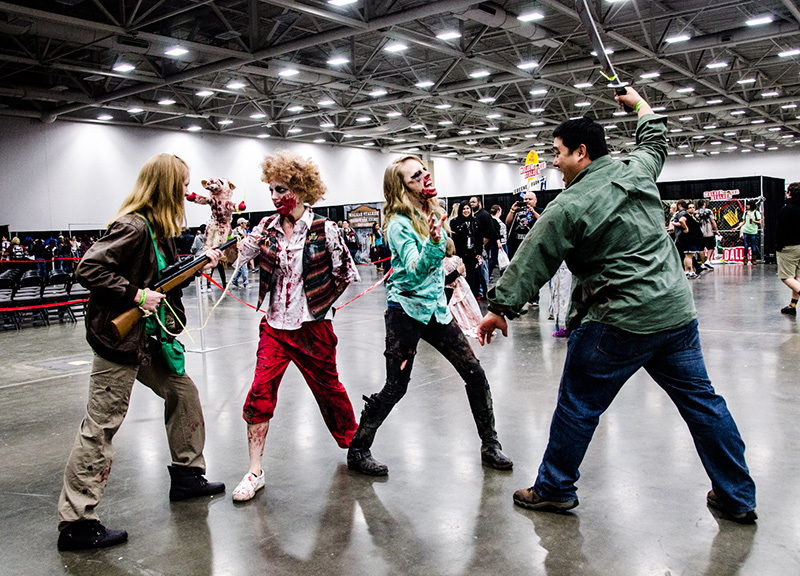 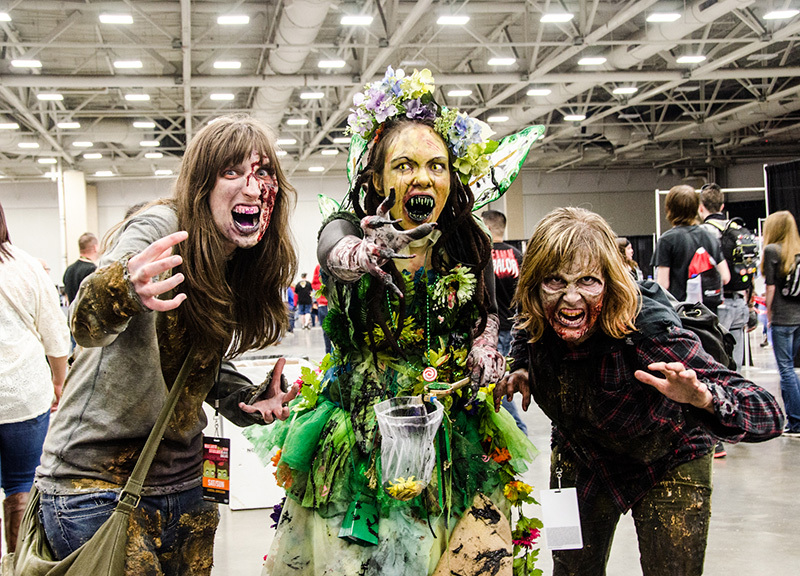 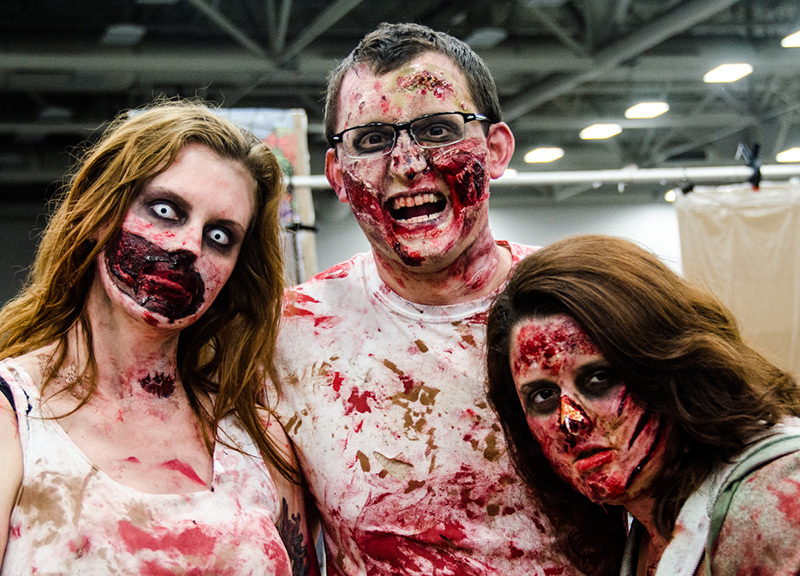 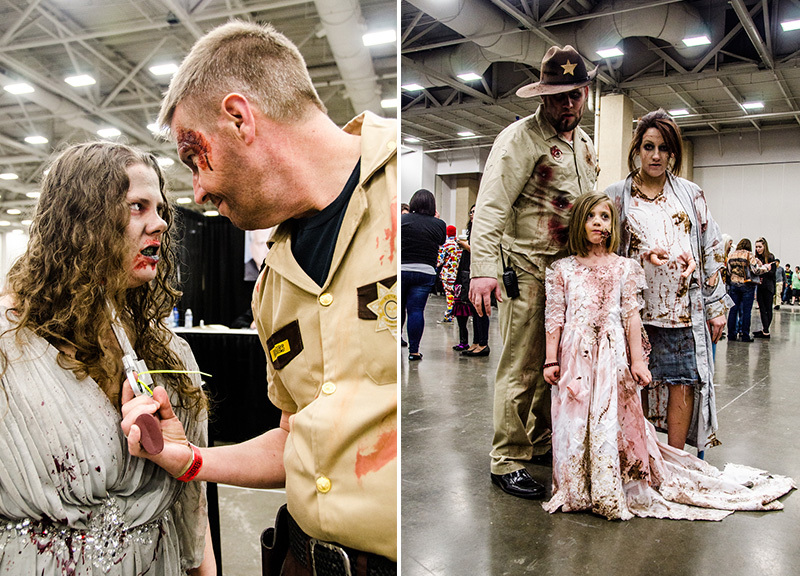 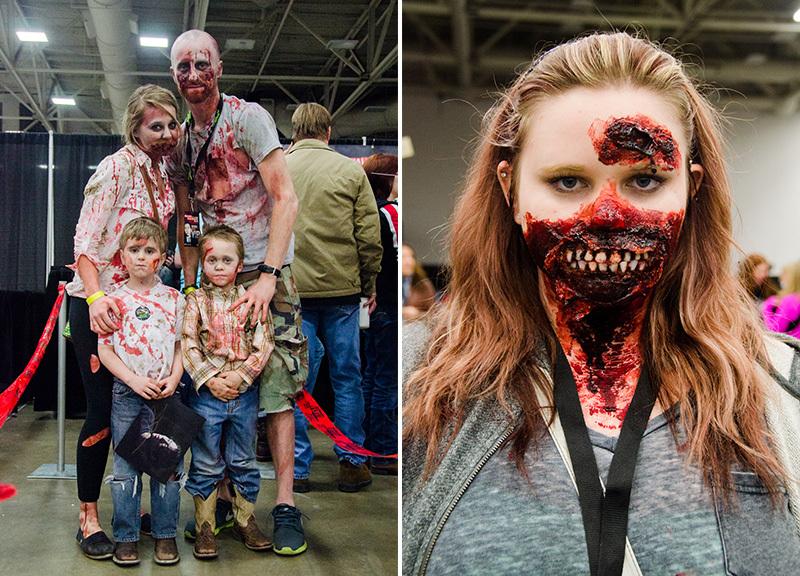 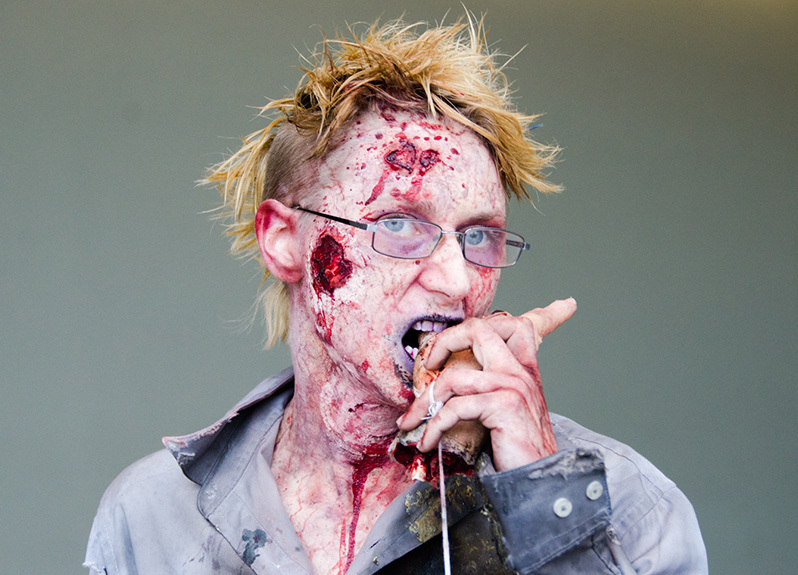 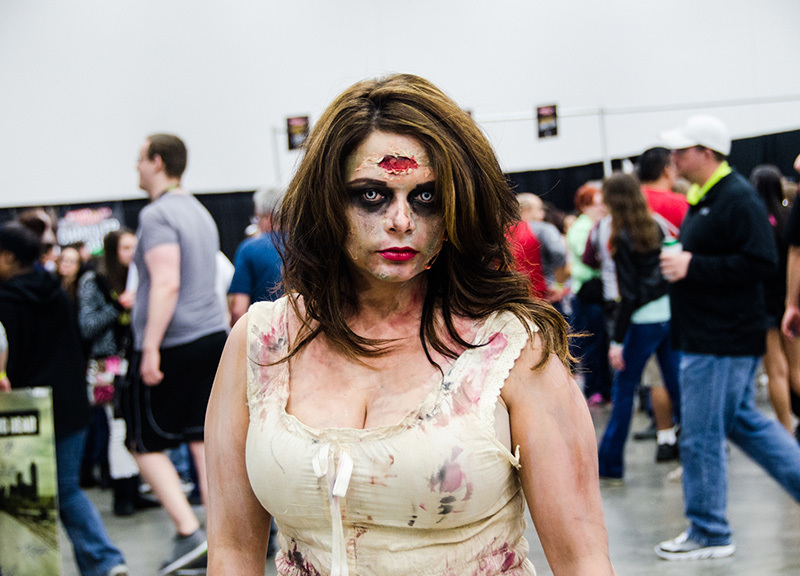 The Zombies of Walker Stalker Con. 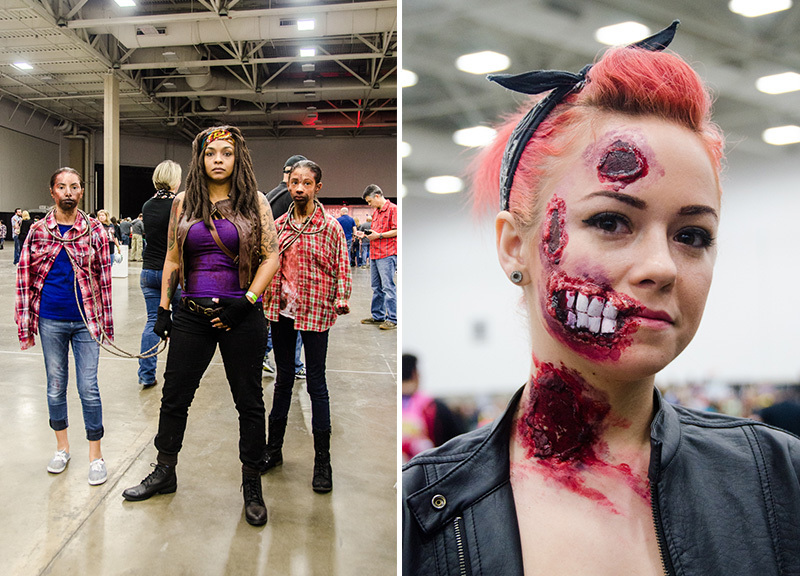 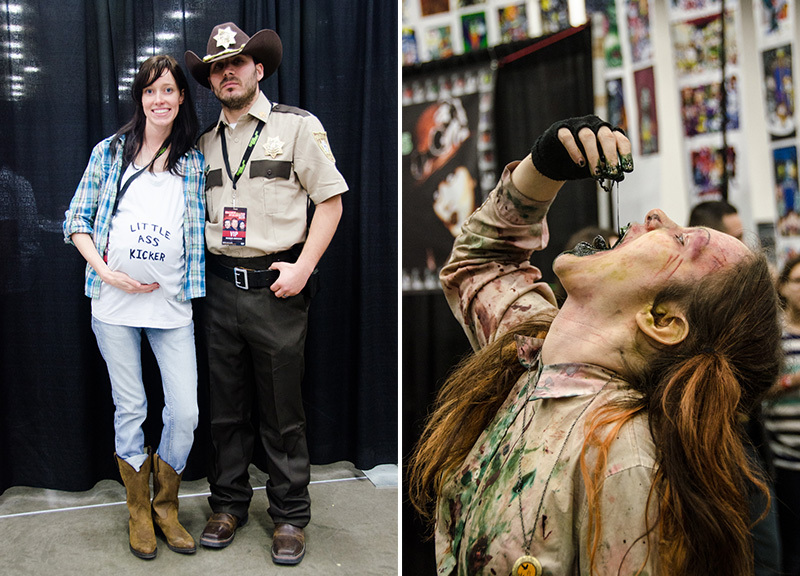 The Walking Dead's eight-city Walker Stalker Con tour rolled through Dallas this weekend for a pair of dates at the Kay Bailey Hutchison Convention Center, bringing with it a slate of panels, various merch booths and a variety of stars from the show itself — plus, as an added treat, a handful of actors from Lost and, since they're on The Walking Dead anyway, a couple of stars from The Wire, too. 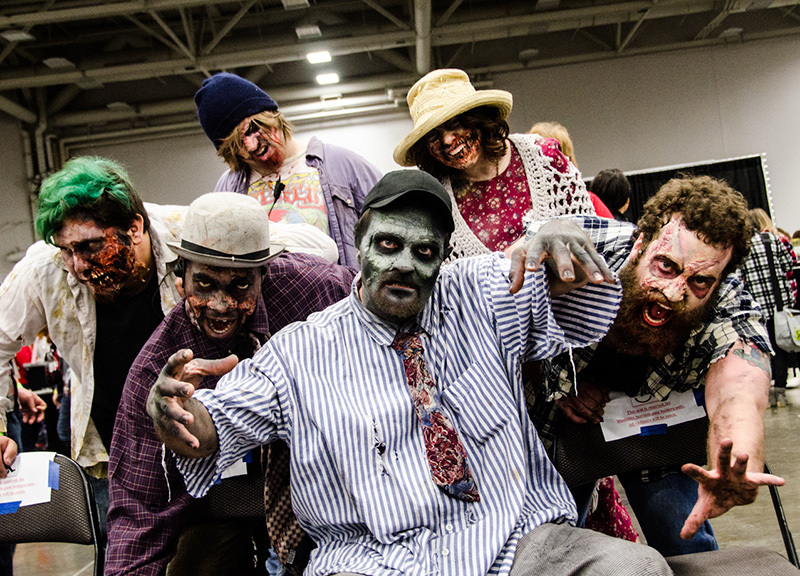 Still, per usual, the stars of this show were the convention attendees themselves who, as expected, used the occasion to don their best zombie get-ups. 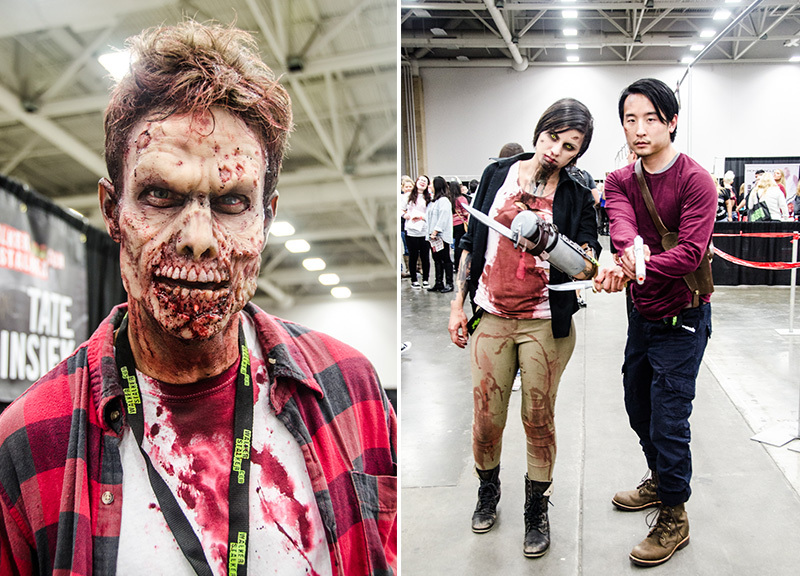 Lucky us, then, that photographer Yohan Ko was on hand to capture all of this undead action with his camera. 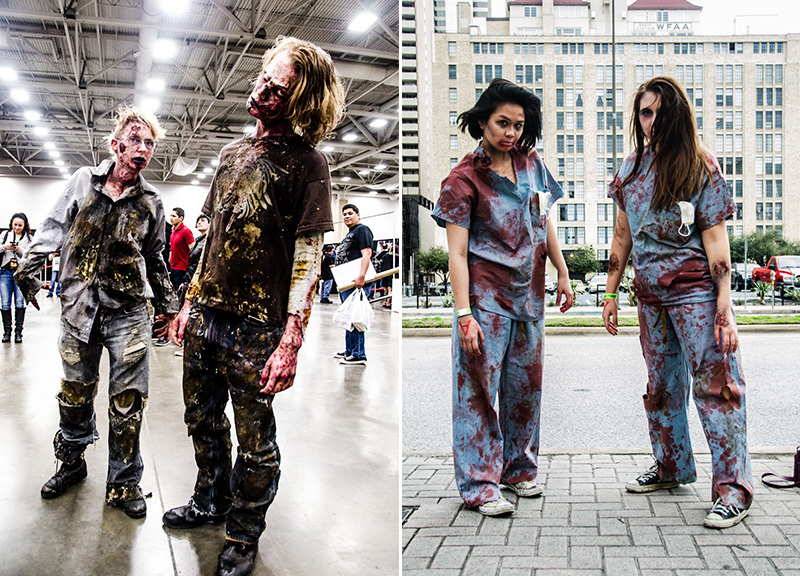 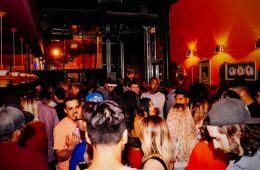 Below, scope our favorite walkers from this weekend's affair, as captured by Ko's lens. 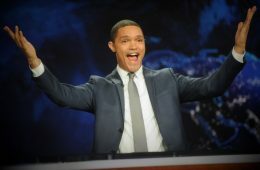 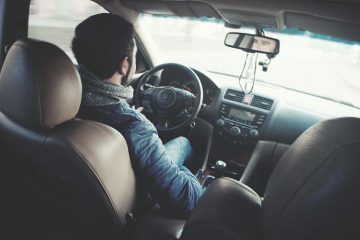 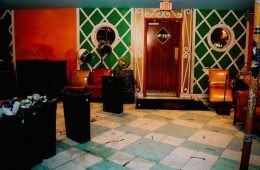 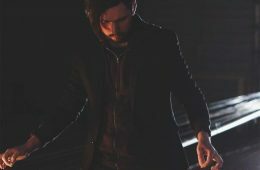 All photos by Yohan Ko. 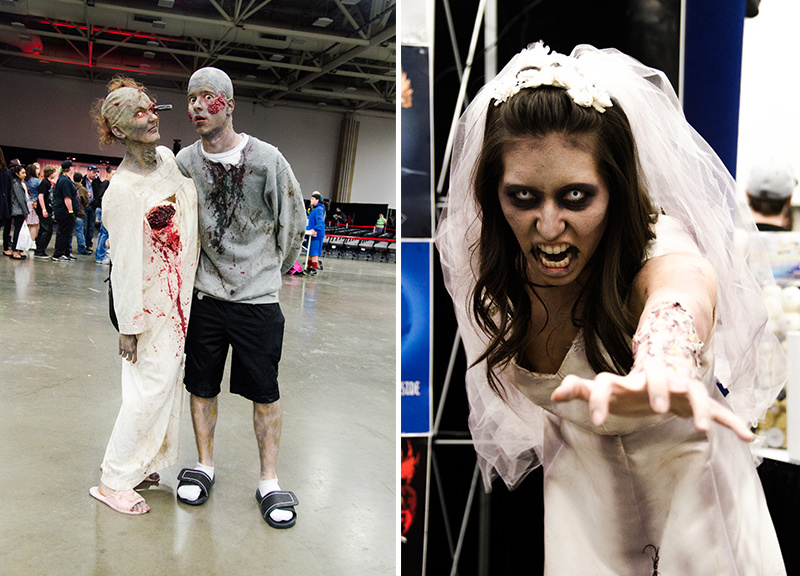 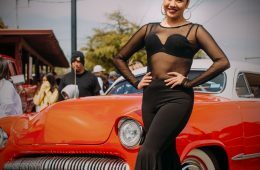 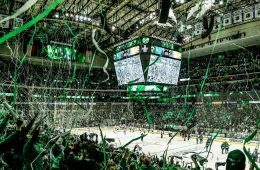 Previous ArticleThings To Do On Monday, March 16.